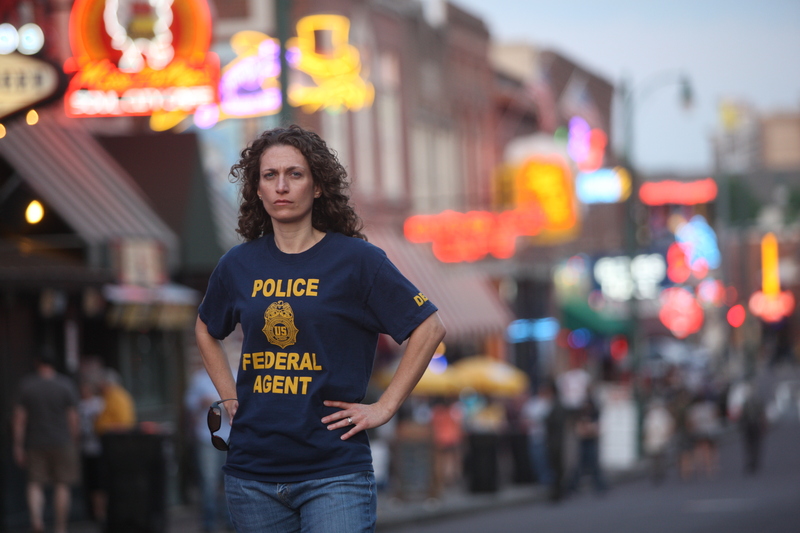 The path that Andrea Vogt-Lytal (’95 journalism) took to become an intelligence analyst for the U.S. Drug Enforcement Agency had about as many twists and turns as the bits of data she regularly analyzes to help identify major drug criminals in Memphis. Fact No. 1: At Iowa State, Andrea makes a beeline to the study abroad program table at orientation before her freshman year at Iowa State. She chooses to study for a semester in Cuernavaca, Mexico. Fact No. 2: Although Andrea is a journalism major, she has an epiphany during her Intro to Anthropology class and decides to focus her studies in that area. She conducts research in Mexico. Fact No. 3: Graduate studies again take Andrea to Mexico. But driving back from her father’s funeral, one day she realizes she isn’t happy doing anthropology. “I realized I have a little bit more of an activist in me than a theorist, you know?” she said. So she applied for a job at the U.S. Embassy in Mexico City and got a position as an intelligence group assistant for the Drug Enforcement Agency. Which brings us to Fact No. 4, when suddenly, all the pieces come together. Andrea realized that her journalism background allowed her to excel in writing reports, researching information, and “interviewing bad guys” – all aspects of her new-found career choice. Plus, her extensive experiences in Mexico, Spanish language skills, and understand of the Hispanic culture were a great asset in her new field of work. Andrea was hired as an intelligence analyst and spent three years at DEA headquarters in Washington, D.C. In 2005, she moved to Thailand and in 2008 went to work in Memphis at the DEA Memphis Resident Office. There she spends her days “connecting the dots:” following data leads that the agency hopes will result in the takedown of high-level drug organizations. She follows crumbs of information brought to her by investigators: Maybe a first name or nickname, possibly a physical description or a car license, sometimes a phone number. These cases are not petty misdemeanors. Her office tracks organizations bringing up to 1,000 pounds of marijuana or multiple kilograms of cocaine into the area at a time, netting hundreds of thousands of dollars. Once an investigation ends in an arrest, Andrea assists with search warrants and post-arrest interviews. Postscript: In 2014, Andrea will become a DEA intelligence research specialist in Istanbul, Turkey.